You’ve finally decided you want to start a side hustle, but you just don’t know how to start it. You don’t mind working at your day job, but you know you don’t want to be working there forever. Having a side hustle – whether you’re a stay-at-home mom like me or a full-time working mom out of the house – is the first step to having the freedom to control your destiny. Okay. That sounds a little cheesy, I know, but it’s true! For those of you who don’t know what a side hustle is, it’s when you do extra work on the side of your full-time work to earn a bit of income. And if you do it right, this can eventually be your main hustle. No more gossipy co-workers or a nagging boss to hear everyday. With a side hustle business you have the option to earn enough cash on the side to quit your day job. Wouldn’t that be nice? But, let’s not get too ahead of ourselves. If you want to start a side hustle today and have no clue where to start, here are six steps you need to follow for a successful launch! For most of us, you may have no idea what you could side hustle. If you’re not crafty and not interested in making scarves or leg warmers, what can you offer? Ideally, you want to find something you LOVE doing, you’re good at and people are going to pay you for it. 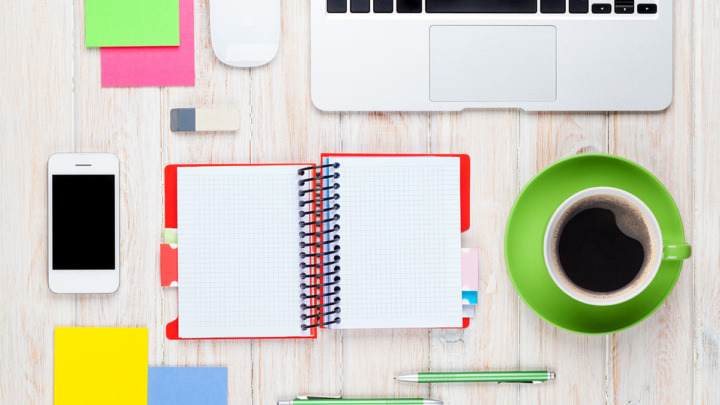 If you’re still stuck, here’s a post on 22 different freelance services you can offer. Freelance Writing – As a stay-at-home mom I started my freelance business on the side. I worked 4 hours a day and was able to make a living as writer! Virtual Assisting – If you’re super organized you can be a virtual assistant for other bloggers and business owners. Blogging – I’m also a blogger and have several blogs! Start an Etsy Shop – Nikki of Mommy My Way sells products on the side. What if you have something you love doing and you’re good at, but there’s no market for your passion? Try considering something else you’re sort of good at. I didn’t choose freelance writing as my side hustle because I’m some great writer. I chose it because it looked like something fun to do and I enjoy writing. So, if you enjoy photography or copywriting or designing, consider those services for your side hustle. If you want to grow your side hustle and really make it your thang, you need a dedicated space in your place. For me, my desk and laptop are in my main bedroom practically in the closet (I can touch my shirts and jeans). For you, it may just be a nook in the kitchen or in your spare room. No matter where it is, just having that space makes your side hustle feel legit. It turns your passion and hobby into a biz and gives you that extra confidence that what you’re doing can become successful and profitable. I mean, just look at Melyssa Griffin! She was offering design services, but once she was making enough moola with her blog, she gave that service up! Having a side hustle takes a lot of dedication and commitment. And it takes time. If you work full-time, then when do you side hustle? It’s not like you can only do it on the weekend, especially if you are trying to build an online business. For most people they wake up earlier and work on their hustle when they come home from their day job. They also work on the weekends. Since I freelance write part-time, I consider this my side hustle. I’m a full-time mama here! But, now that my twins attend school, I entered the world of full-time blogging and had to learn to manage my time and create a plan around my blog. 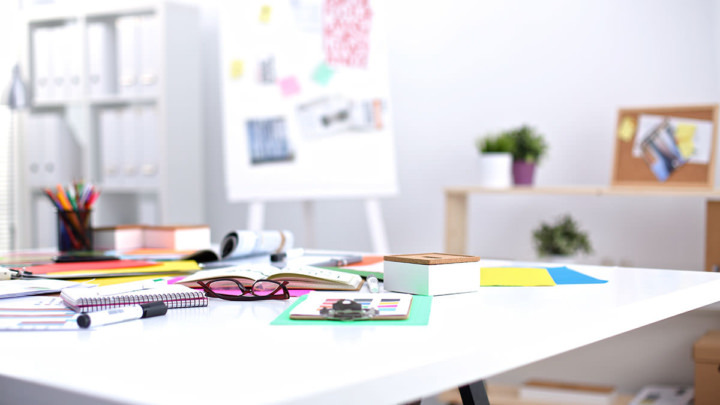 If you need more tips to maximize your productive times, check out my post on 26 ways to supercharge your productivity. You want to get paid right? Since your side hustle is online, you need an easy way to get paid. PayPal is a universal online payment system and most businesses and solopreneurs use it. You’re actually running a business, so it’s a pretty good idea to keep track of what’s going on. The easiest way to start is with a P&L sheet. This tracks your profits and losses. You can easily draft this in Google Sheets or on Microsoft Excel. Do a month-to-month P&L and see how much your side hustle is making you. If you notice it’s on the up and up, you can start to really think of the idea of turning it into your main hustle. You’ll also want to track your deductions for taxes. I typically set aside 30% of my earnings each month, but check out how much you should set aside in your home state. Just remember, if you make more than $400 as a self-employed person, you’ll have to file a tax return, even if you otherwise wouldn’t be required to. This is it! Up until now, you haven’t officially started hustling. But now you’re ready. You need to come up with a plan to generate income with your side hustle. Since I have a serviced-based business, rather than a customer-based business like an Etsy Shop, here’s a strategy to help you get noticed and earn you some cash. The hustle strategy is a plan to get your name out there. Right now, no one knows you have anything to offer. Maybe you’ve been blogging on the side for the last year and now you want to start doing Pinterest images for other bloggers. Whatever you choose as your side hustle you’ll want to focus on blogging about it and pitching. 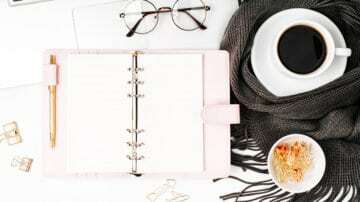 If you already have a blog or you need a blog for your side hustle, you want to come up with a schedule that highlights and promotes your services. By focusing on the problem – not enough time, too many tasks to do in a day, having to take responsibility for all parts of a business etc.. – you can create blog posts around that and highlight the benefits of having a VA on your side. Basically it’s a “speech” on why your services are perfect for a prospect’s business. If you are a freelance writer you might mention how your writing has generated hundreds of shares (even if it was only that one blog post you wrote a year ago). If you want to do Pinterest marketing you can talk about how you were able to double or triple your following and how it’s your #1 referral for traffic. There’s two methods I use to find clients. They are: cold pitching and pitching to job ads. Cold pitching means you scout out companies, bloggers or start-ups and pitch them your services. They aren’t actively seeking anyone so your pitch has to really convey the benefits to having a writer or social media marketer or a designer for customized social media banners. Pitching to job ads isn’t as hard-core, since you know these prospects are seeking someone out. Here you want to explain what you do and how you can help them out. Basically you follow the instruction on how to apply and wait to see if they hire you. Make sure to grab my free side hustle promotion kit to get more job sites, sample pitch emails and more! If side hustling is really what you want to do, then the best avenue to take is to start a blog. When I started my freelance writing business, that was the first thing I did. I created a couple of blog posts and shared it on my social media channels. This got my name out and helped prospects find me! A blog also helps define your expertise in your niche. For example, if you want to set up an Etsy shop and sell your printables, you can still start a blog and provide useful tips on using your printables, why yours are superior and creative ways to use your printables. Or, if you are a coach for mamas, your blog can focus on tips to help moms run a successful home life or business or both! Having a full-time job or children to take care of during the day and finding time to run a side hustle can be a challenge. I’m not the perfect mom; if my kids squeal with delight when I stop folding the laundry to play with them, then I know I’m working too much. But, I always think about the why behind doing this. I chose to stay home and work so that I could take care of my twins. So that I can be the one to put them down for their naps or cook their meals. Starting your own side hustle is one of the best things you can do for you and your family! Another great 👍 post . Thank you for your helpful information. You’re welcome! Glad you liked the tips to start a side hustle business! I always get questions about starting a side hustle, and I’ll definitely share your tips! That’s great to hear! So glad this post was helpful! I’m so terrible with mapping out my time! It’s hard to have an online side hustle when Netflix is calling your name lol. I love your P&L idea and I’m sure it helps when tax season rolls around again! Yes! I’m terrible with time management. It can be 5 pm and I have NO idea what to cook for dinner! Or, it’s the end of the month and I have like 10 projects due in five days! But, I’m still managing and my biz is doing well too! 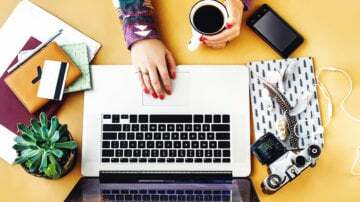 As a blogger, side-hustling is important! I have a few ideas and lots to choose from now, thanks for the free promo- kit and awesome inspiration! Thanks so much. Yes, having a side hustle is a challenge but it’s a great way to transition from working for others to working for yourself! Thanks for grabbing the free kit! I cannot imagine working and blogging! That’s a lot of work! But I loves the photos on the blog post! Bright and eye catching! Love your blog btw! Your baby looks adorbs 🙂 Yes, I actually blog on lots and lots of blogs, ha, but that’s my work. I don’t consider TwinsMommy or my other site as work. I LOVE blogging and I have so much fun with the graphics too! I am semi retiring soon (as a psychotherapist and career counselor) and already have a Coaching private practice that is growing. I am an old hippie Boomer who finds that advice from millennials is useful and refreshing. Your suggestions for a home business will work for anyone of any generation who is committed to succeeding at starting up a side hustle or a “retirement” business. I will incorporate your ideas into my business plan. I found you on Pinterest and am glad you are there as I have recently dropped off of Facebook. Thanks for the inspiration, best wishes with your family and venture. That’s great you want to start a side hustle when you retire. I hope to keep my side hustle when my twins marry off! Thanks. Glad you liked my post on having a side hustle. This is so helpful! I’m so glad I’ve found you here and on Pinterest. I’m a (new) blogger who would also love to branch into freelance writing. Extra income as a mama of three would be wonderful! Thanks for stopping by and leaving a comment! I’ll be sure to check out your site! This is way too much awesome content for me to digest in one sitting. I had to bookmark it and keep the tab open so I can read it when I have more time to concentrate. Love to hear you’re gonna sit down and digest this like a mom-boss! 🙂 Enjoy.. 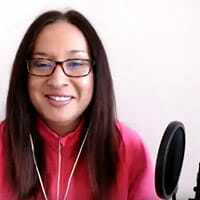 This is such a great outline of how to start a side hustle! Great info. You also provided helpful links that apply so many different types of side hustles. Thanks so much. 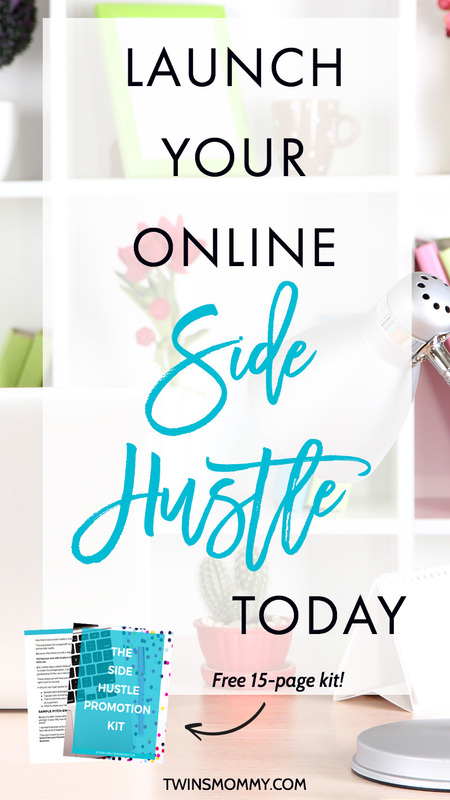 Starting your own side hustle can be overwhelming right? There’s soo many things you have to do. But, I feel if you just do one thing at a time and on your own time frame, it won’t seem so hard. Oh I love this. I actually am trying to figure out what could be my side hussle. (I’ve been working really hard to get my blogging going) as I’m a SAHM of 4 and our oldest is heading to College come the Fall and OH MAN OH MAN…. can you AHHHHH lol… I can’t work out of the home because of our youngest just yet so I need to get it together and make at least some food money for my son since Hubby is basically taking care of the the home base. Thanks so much for sharing! Sounds like your plate is full! 🙂 That’s how moms roll eh? There’s never a dull moment. So happy to hear you want to start a side hustle and blog. I’m like raising hands emoji to the one about planning because it’s so important! I went a year and a half without using one and didn’t realize how much it would improve things for me! I even have a blog binder now with all the downloaded worksheets and free goodies I receive from successful bloggers. Planning is ultra important eh? I have to admit that I’m a sucky time manager, but an okay planner. I really need my to-do lists and digital organizers and even my husband telling me, to get anything done around the house! That’s a good idea to have a binder of all the goodies you grab from bloggers! Thanks. Are you interested in launching a side hustle soon? Keep me updated girl! This is exactly what I needed. Thank you so much! I just started my own blog and am working on my Etsy store. With homeschooling 6 kids and one of them being special needs it is so hard to find time to eat let alone work my business. Thank you for the encouragement. Really great post here! I’m not ready to start side hustling but you’ve literally answered every question I had! Bookmarking ? That’s great to hear. You’ll know when you’re ready to start a side hustle! It’s a big step, but totally the RIGHT step. Good luck. These are such helpful tips! Can’t wait to utilize your side hustle promotion kit! Thanks so much. I’m super excited to see all these side hustler bosses! As always this is very detailed. I have no idea when do you write all that stuff. There is so many information and great resources on your page. All the time something new comes up. I feel like you write day and night. Ha-ha! I’ll be honest. The worst part for me is organization. I like creativity and freedom but there are always some rules. There are rules about how to promote, behave, make page(s) I need something refreshing. I just love it to create. But to do list are dull. It doesn’t work for me. Any idea that might help? Thanks! It might appear I’m at all all day, but I’m actually not! Writing posts for this site and my other site are easy and don’t take a lot of time. Practice typing and writing in your niche helps! Organization isn’t my strongest suit but I seem to to know where everything is. Having a home for everything is key! As for list posts, I love them so I can’t really help you there! Ha, you can jazz them up with interviews, round-ups or case studies 🙂 Good luck. We are people, although I know my son would absolutely go GA-GA if I really was a ROBOT! 🙂 He’s into bots lately. Yeah it’s important to balance it all because, I mean, you’re working full-time AND running a side biz AND having to take care of the house AND take care of yourself (shower anyone? )…so yeah..gotta keep on top of that. So happy to see some loyal followers happening 🙂 Gonna be a great blog growth update next month! Thanks for linking to some awesome blogs! I’d really like to make blogging my side hustle. I’ve been blogging consistently for a few months, but it has been hard for me to gain a community of followers. Any tips? That’s great you want to make blogging your side hustle. It can totally work. So many other people and mamas are kicking but doing it! I’ve never heard of the term “side hustle” even though I’ve known about work-from-home opportunities for quite some time. I’ve had the desire to work from home for not just weeks, but years. Frankly, I’m scared to death that I wouldn’t be able to “pull it off” and survive. Thanks for sharing this . Yeah, “side hustle” is just a term for your side business or if you’re “moonlighting” as a freelance writer for example. As freelancers we hustle, so it’s just an extension of that. Thanks so much. Do you have a side hustle or are you itching to start one soon?